La Carassa, secret date for fondue! 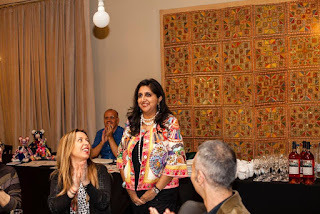 La Carassa in the Born, has been there since many years. It's well hidden in a tiny little street and has a very peculiar decoration. 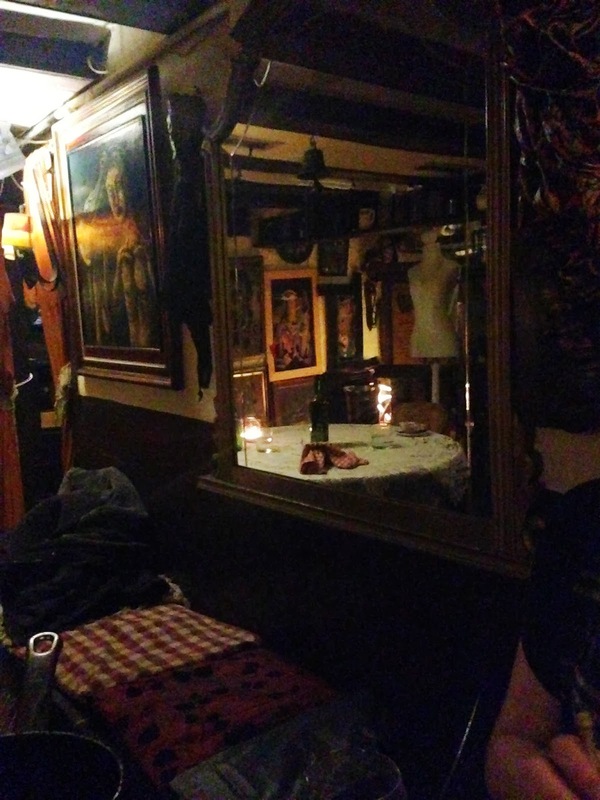 This small space has 2 floors; when I entered i felt that I had been transported back in time. Their menu consist of fondues (cheese or meat), raclettes and salads (inform them while booking if you would want a raclette). 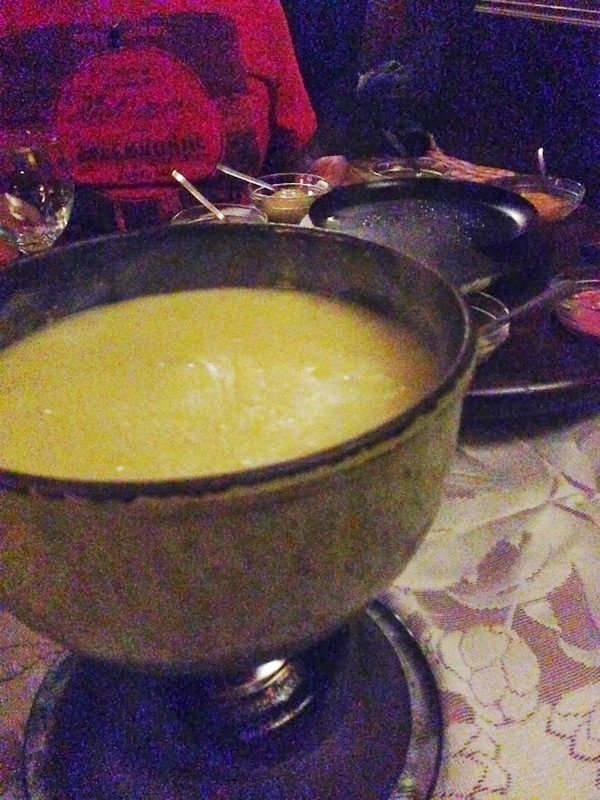 We are cheese lovers and have had the best fondue in Switzerland, in Gruyère. 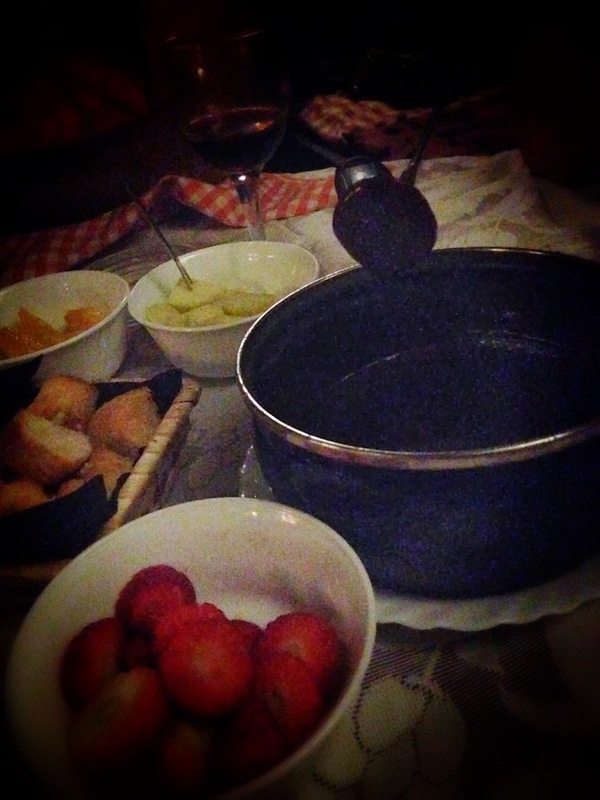 Their fondue may not be the same but I really loved it, and I think till date it's the best I have had in Barcelona. 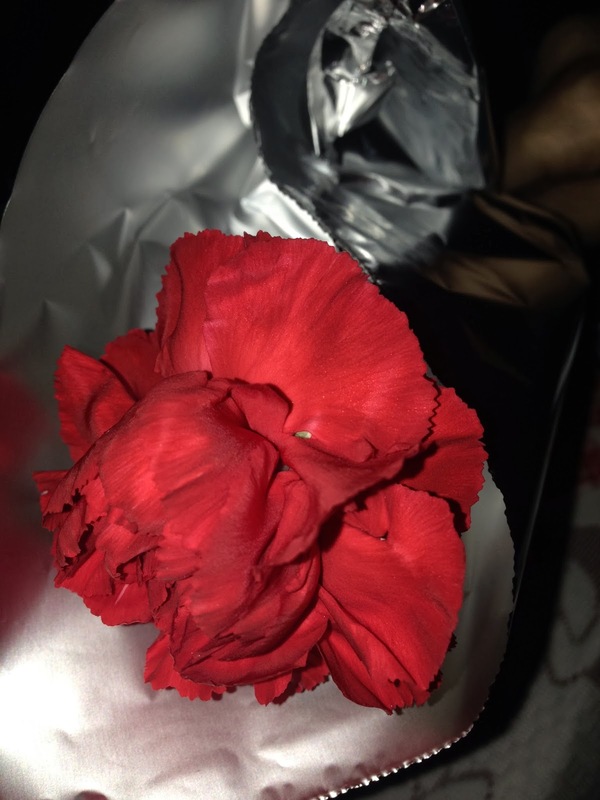 It doesn't have the typical strong flavor but has a nice texture and taste. They serve it with croutons and fruits. 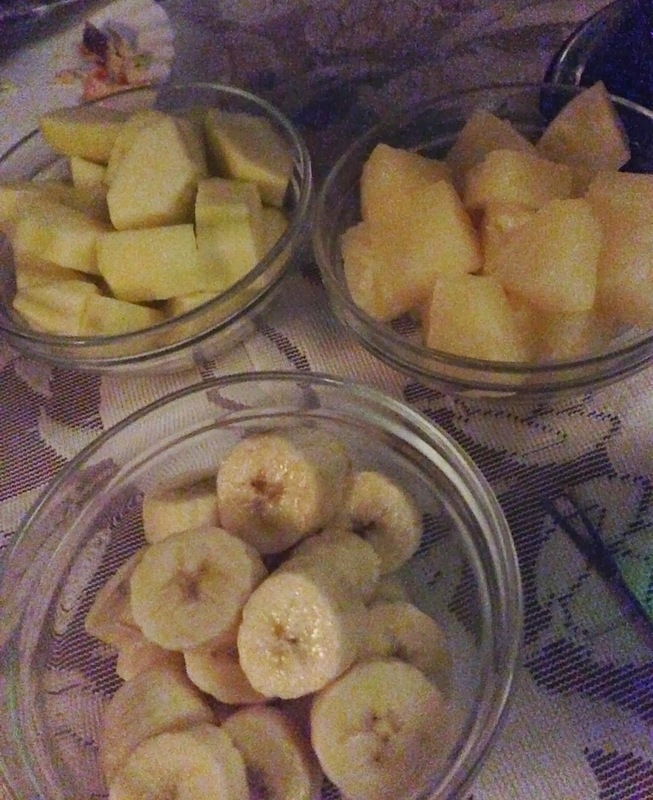 I even tried the fruits dipped in cheese and it was yummy. You can just have some pieces of fruits in between. I definitely recommend this place for a cozy dinner or even in a group ( their biggest table was for 6-8 people). 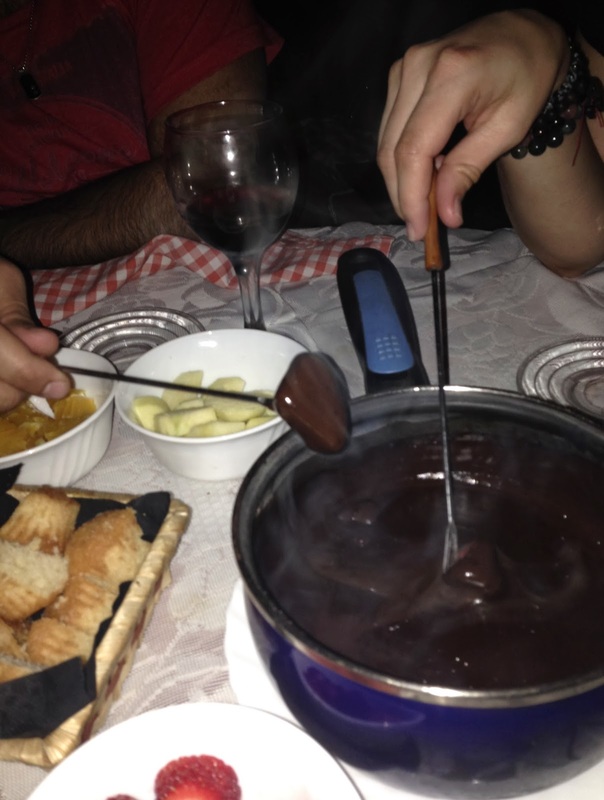 You need to be a fondue lover and eager to have a different experience. Around 30 euros per person. La Carassa Carrer del Brosolí, 1 Con Argenteria. 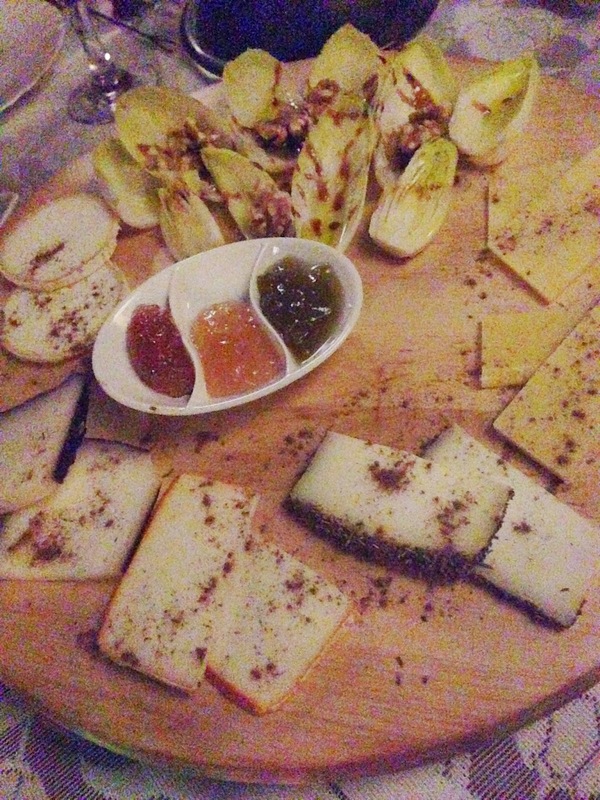 Endive salade with walnut and cheese served with different chutneys: Very good! Rich and dark chocolate served with fruits and cake! Labels: El Born, Somewhere special!